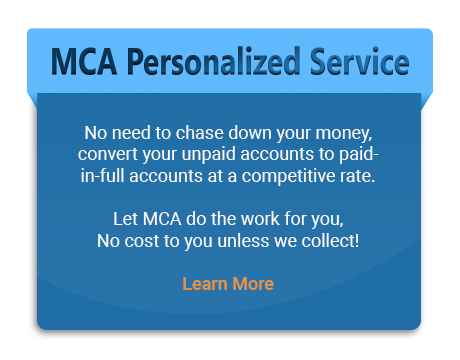 MCA is a third-party debt collection agency in St. Louis, MO. We are family owned, and have been in continuous business since 1950. 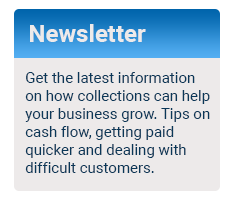 Our collection services are in strict accordance with the fair debt collection practices act, so you never have to worry about how we do business. If you’re looking at hiring a collection agency, MCA is the superior choice. We emphasize professionalism and sound business ethics with our entire staff so that we can provide you with great recovery rates and even better customer service. Because of our dedication to great customer service, we never use automatic dialers, and we don’t harass your debtors. Here at MCA, we are proud of our A+ rating with the BBB. This rating, which is rare among debt collection agencies, is due to our dedication to doing business right. That dedication is part of what makes us a superior collection agency. Additionally, we have been a BBB Accredited Business since September of 2000, meaning that we meet all of the Better Business Bureau’s accreditation standards. Hiring a collection agency doesn’t have to be expensive. We offer very competitive rates, and there is never any cost to you unless we collect! When you hire MCA Collection Agency, you don’t have to worry about paying for collection services that aren’t effective. So, why not try and recoup some of your past due accounts with no out-of-pocket expense? Let MCA do the work of chasing down your unpaid accounts for you. MCA is based near St. Louis, MO, but we guarantee that we will work all accounts regardless of the dollar amount or location. We primarily service Missouri, Illinois, and surrounding states, but we are able to collect across the entire United States and Canada. Let’s work together to turn your unpaid accounts into paid-in-full accounts. Contact us today to get started!